Former Wallabys star Dan Vickerman dies age 37. 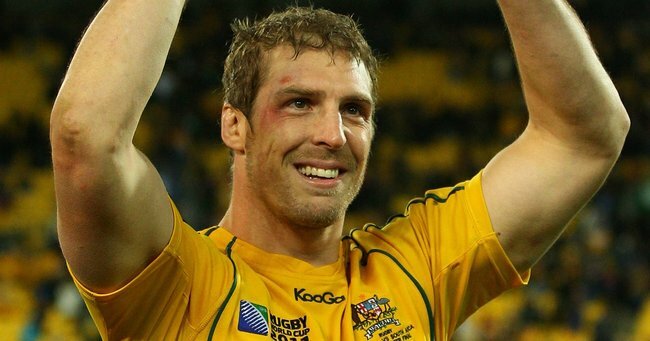 Former Wallabies star Dan Vickerman has died, aged 37, at his family home in Sydney overnight. Vickerman made his Test debut against France in 2002 and went on to play 63 Tests, but was forced into retirement by stress fractures in his right leg. Australian Rugby Union chief executive Bill Pulver said in a statement “the rugby world is in shock after news of the tragic passing”. “Dan was an uncompromising competitor who forged a wonderful international rugby career despite a number of injury setbacks along the way,” Pulver said. “He was an enforcer on the field and a much-loved character off the field. “He cared deeply about the game and the players, helping players transition into life after rugby in his role with RUPA (Rugby Union Players Association) following his retirement. Vickerman is survived by his wife, Sarah, and two sons. “On behalf of all players, we extend our deepest sympathies to Dan’s young family at this difficult time. We are truly shocked and united in our despair,” RUPA chief executive Ross Xenos said. “Dan was universally respected by his peers and the rugby community during and beyond his playing days. Since retiring, he was very generous in giving back to the game through coaching and voluntary roles supporting players’ off-field development. The 203-centimetre lock was born in Cape Town, South Africa and played for South Africa’s under-19 side in 1999 before moving to Australia and donning green and gold at the under-21 level one year later. In 2001 he started what turned out to be an 86-game Super Rugby career with the Brumbies and Waratahs, and was called up to the Wallabies in 2002. Wallabies flanker Phil Waugh played alongside Vickerman at the Waratahs and on the international scene and said Vickerman’s team-mates are “all devastated about our good friend and team-mate”. “I think I speak on behalf of all players in saying that our thoughts and prayers are with his wife and the boys,” Waugh told Rugby.com.au. After the 2008 season, Vickerman took three years away from the sport, moving to England to study economics at Cambridge University. Upon his return he played eight more times for Australia, with the 2011 World Cup semi-final loss to New Zealand his last cap. After leaving the sport, Vickerman worked in real estate and property investment.